Conveniently located in downtown Matthews (0.5 miles) from Independence Blvd. and (0.8 miles) from I-485, Exit 52. 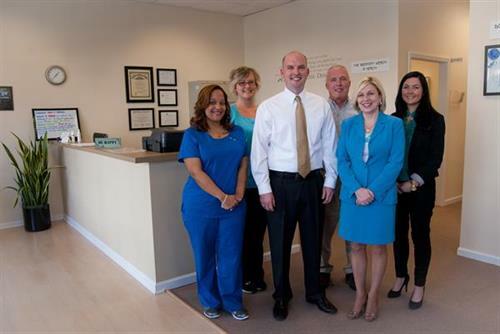 Our mission is to provide our community with a comfortable and compassionate environment in which we can target and treat each person for their specific wellness needs. We will do this through natural processes of Chiropractic care, massage therapy, and forthcoming acupuncture techniques. We can help with natural pain relief, stress reduction, disease prevention, improved energy and a better quality of life.We want to empower each individual with knowledge which will inspire them to become advocates in their own well being. Our dedicated team will provide these services while maintaining the highest ethics, integrity and professional standards. We look forward to helping you and your families. Tenemos asistencia en espanol. Please call us today to schedule your free consultation.